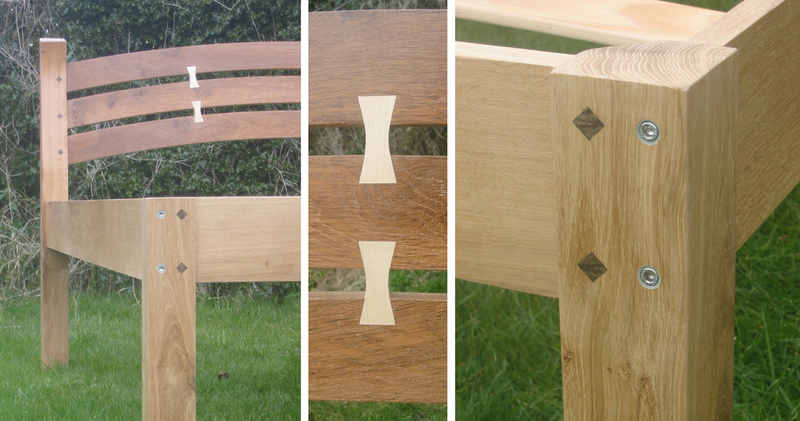 Hand cut dovetails in sycamore contrasted with rare brown oak make this lovely eye catching design. 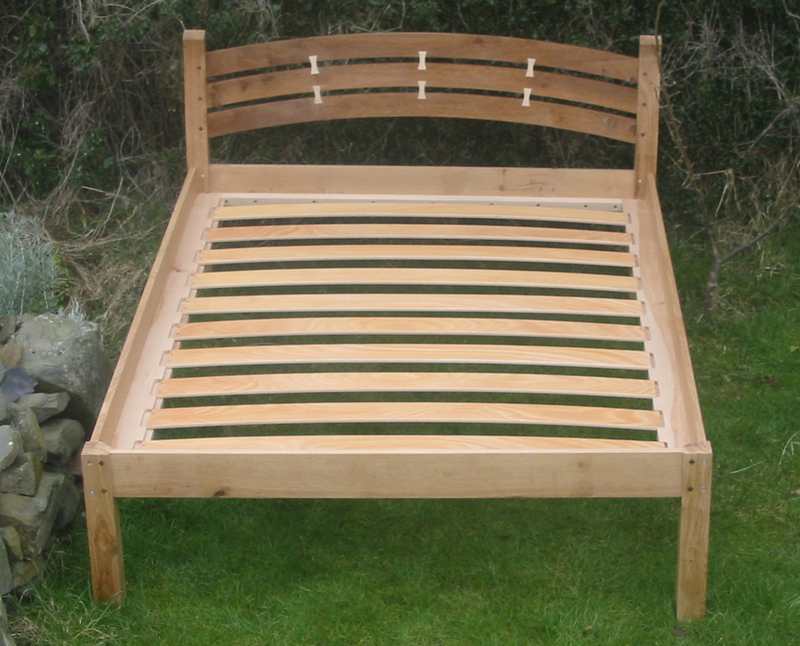 The sprung base is made from solid beech and gives a slight spring which ensures a good night’s sleep and the headboard is set at an angle to ensure a comfortable sitting position. 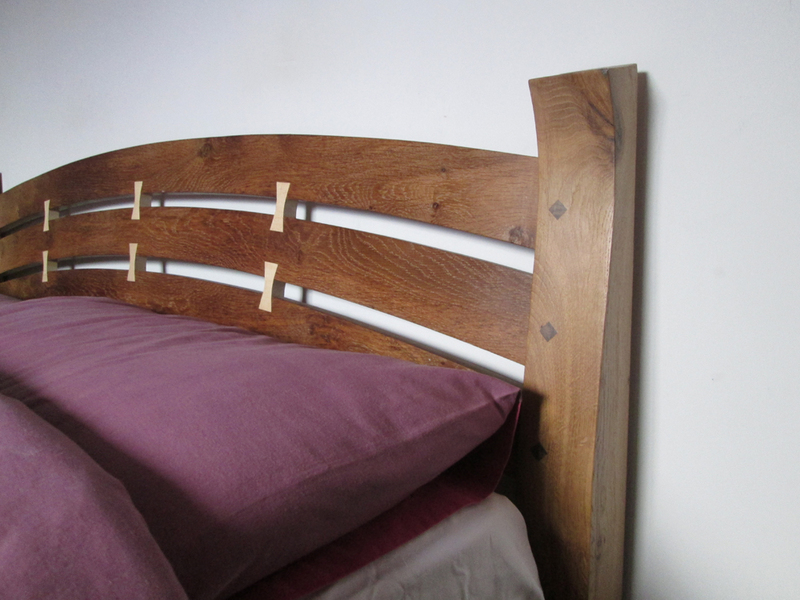 The oak, sycamore and even the walnut pegs are all from locally felled trees. With free delivery within 5 miles of Bishops Castle.